THE MUTE MOB IS COMING. CAN YOU HEAR US? Born in London and bred across two continents, Mute are part British, part Canadian, and propagate unapologetically widescreen electronic rock. Now the time has come for them to be heard. 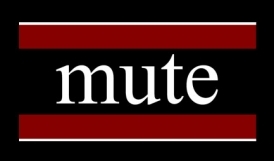 With a live performance at Espace Dell' Arte on June 6th, to launch their debut music video, Mute will be kicking off the 'Being Heard Tour': a series of concerts and events in Montreal that will engage, provoke, mobilize and multiply the Mute Mob. Join us. Raise your voice, be heard and change the face of independent music in Montreal. Listen closely: We are mute. Can you hear us?